Rocky Pro Hunter Glomitt. 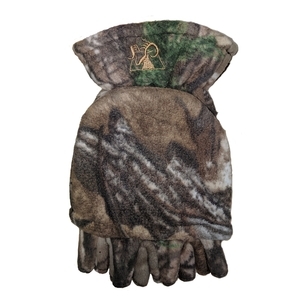 Rocky SilentHunter Fleece Glomitt keeps hands warm on the hunt, yet it's designed for function. 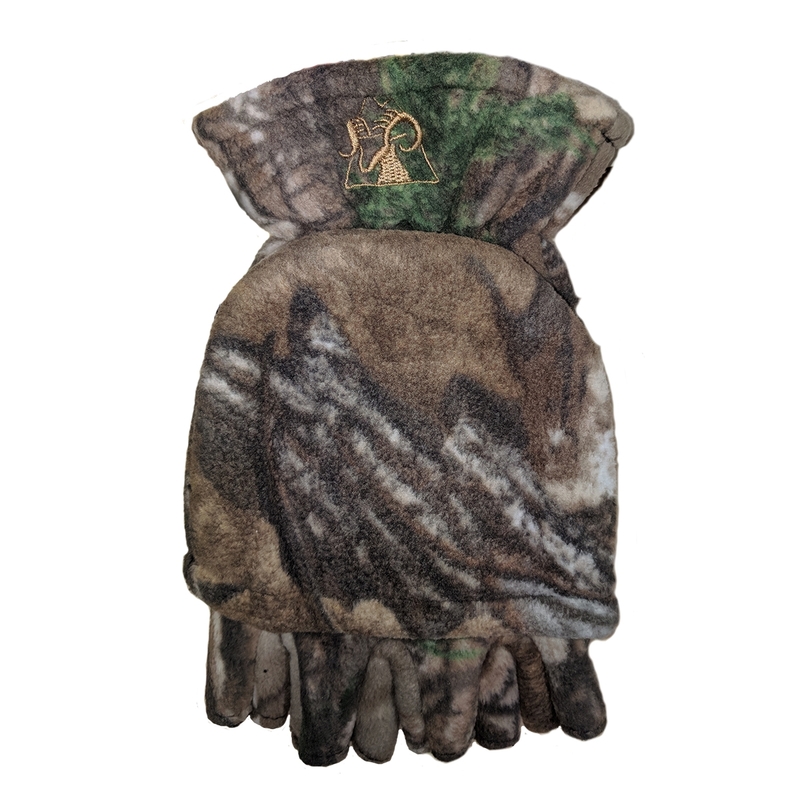 A fleece lining keep hands and fingers warm, and SilentHunter fleece fibers make sure hunters don't have sweaty palms. Bulky gloves or mittens can get in the way. That's why this Glomitt has a tuck away mitten cover and open fingers and thumb. Hands stay warm and dry, but the design allows for increased dexterity and function over traditional gear.